Demand respect and obedience with this great looking red and black whip! Make sure your every word is followed by inflicting some pain to your disobedient sub. With a long handle, this whip is easy to handle and maneuver to get that nice crack! The long tail is flexible and incorporates a few long strips at the tip for added sting on impact. 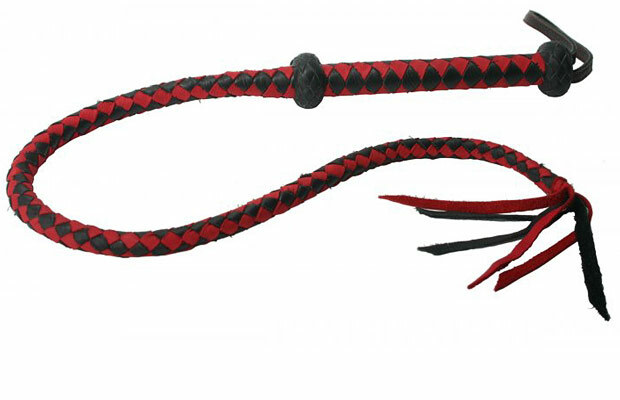 This whip gives a stunning look with its braided design from high quality leather. At the bottom of the handle there is an additional leather loop to help with quick and easy storage.